For the example files associated with this tutorial, visit the Mibuso downloads. 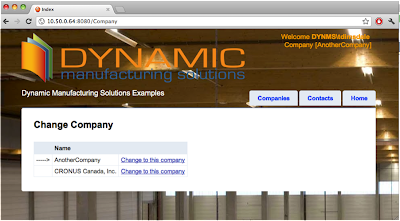 So you’ve been asked to make a web portal for some Dynamics NAV data. You also have a desire to stay current and would like to take advantage of some of the newer web development frameworks out there. You’ve seen, or heard great things about how quickly you can get CRUD with some of the popular MVC frameworks out there like pages working with MVC.Net or Ruby on Rails. MVC.Net and Ruby on Rails both would prefer that you have control over the database, and that the database follow industry standard naming conventions and patterns (the phrase “Convention over Configuration” is mentioned many places). This allows you to make websites very quickly. 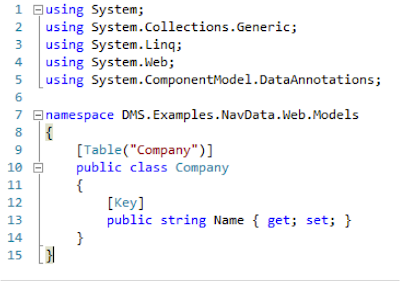 As a Dynamics NAV programmer you already know that the table names in NAV cause problems with these frameworks, specifically the prefixing of tables with “CompanyName$”. 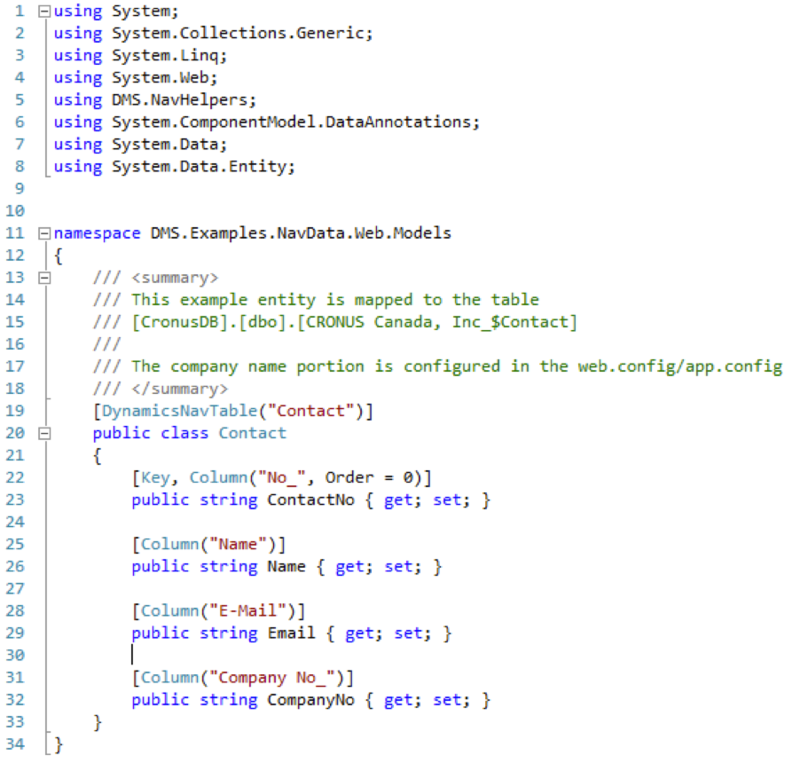 This tutorial will show you how you can use the Entity Framework in an MVC.Net web application with Dynamics NAV. Let’s start with a table that won’t cause problems. 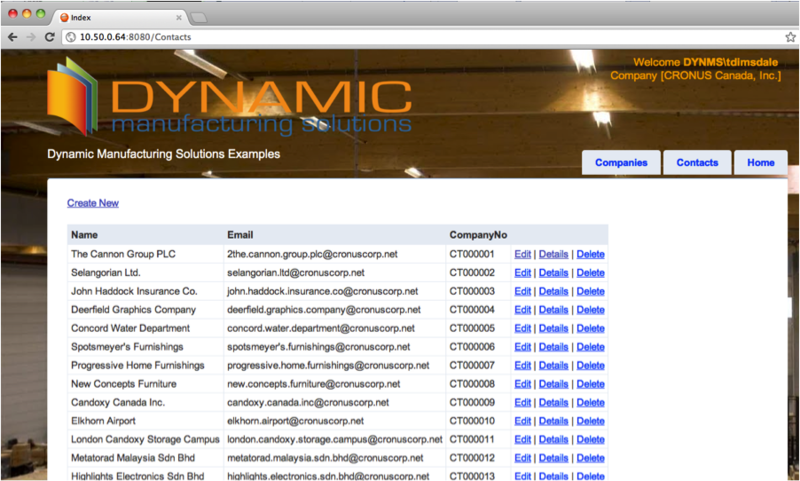 The “Company” table in NAV is not company specific, and presents no problems using the "Table" data annotation attribute. Happiness and butterflies all around, you get to your next table and now you want “Contact” data. If you’ve got two companies, that now becomes two different SQL server tables. “CRONUS Canada, Inc_$Contact” and “AnotherCompany$Contact”. You could hard code the companies, but that will create deployment problems. You could then get around the multiple companies by inheriting different classes, but that seems a waste. Another possibility is to use a different table attribute that allows you to change companies. In the below example we’re using a new table attribute class called “DynamicsNavTable”, that allows you to specify the NAV table portion name. 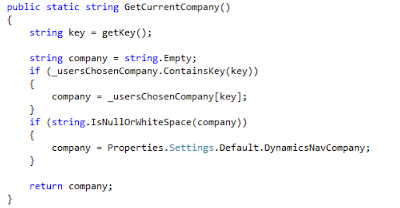 You’ll notice that we are deriving from the same "TableAttribute" that we used in the “Company” table example, where in our constructor we’re setting the actual table name to use ( via the GetCompanyTableName function described below ). The current company is then determined by the current users chosen company, which if not yet defined, will bring it in from our settings. 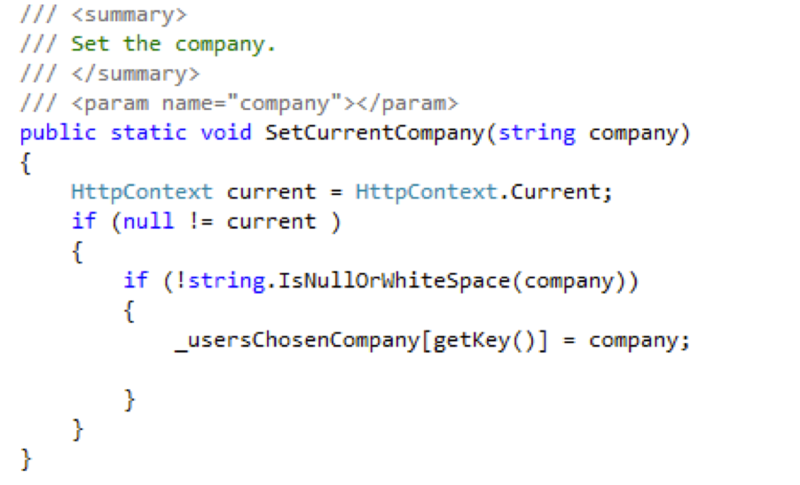 We’ll show how the current company can change on the fly a bit further down in this example, but for the moment let’s just go with a configurable company name in the web.config. And let’s set it as our default in the web application. 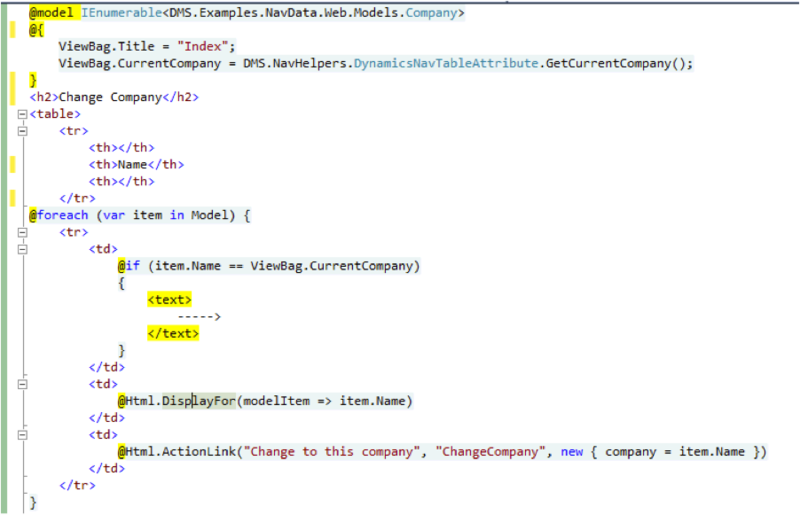 So far so good, so let’s use the default MVC.Net scaffold around the "Contact" model and let’s see what we have so far. At this point all we really have to support table names is the special table helper data annotation attribute, with a supporting configuration file. So at this point you have the ability to configure the company in the web.config, but that still doesn’t let you change the model (yet). A complicating factor is the behavior of MVC.Net about how the database model gets compiled from your model. Specifically, it will compile the model once the first time it’s used and after that it’s cached. While this is great for performance, you seem to be stuck with that compiled table name of “CRONUS Canada, Inc_$Contact”, because it would have read in the model, and the table data annotation once, thus even if you were to create new contexts passing in the attributes that you wanted it would still use the previously compiled version. The easy solution is to use the model when the DbContext is being constructed. What we’ll do is make a base DynamicsNavDataContext, derived from DbContext, and then use that for our future implementations. This approach to changing the table mapping at runtime is based off the example provided by bennymichielson. 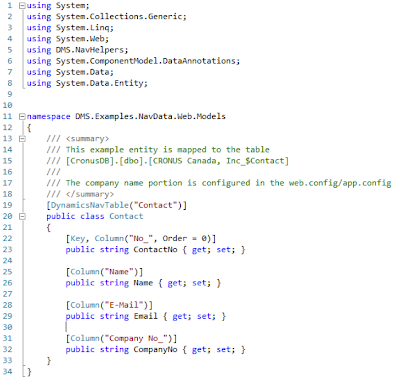 In our solution specific data context we then just have create a helper method to create the appropriate DbModelBuilder. 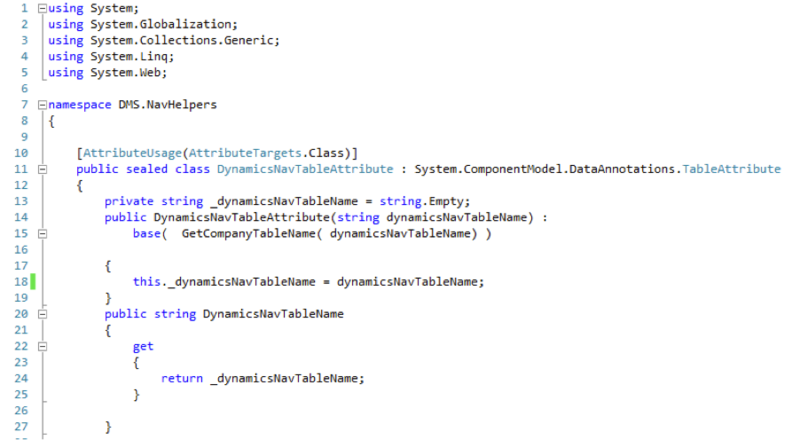 With the last piece of the puzzle just to get the appropriate table name in the BuildModel() method. 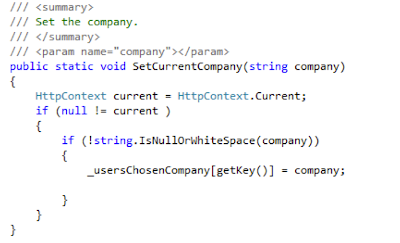 To take it a step further and allow changing the company per user ‘session’ instead of just on the URL we just store the current company per user. 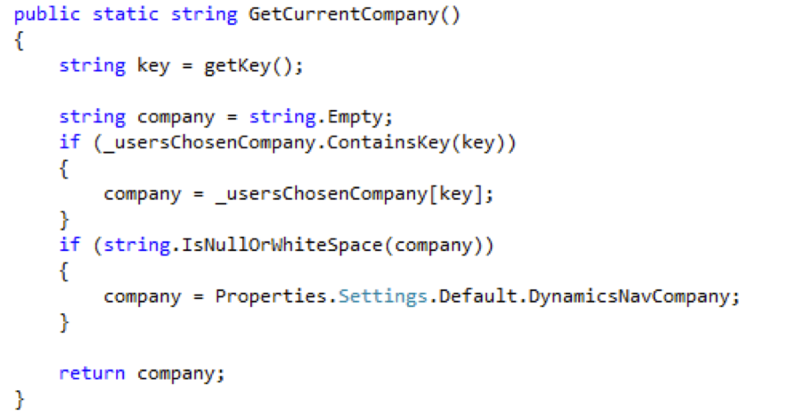 And then in our function that returns the current company we just return the current users selected company, where if not specified grabs the default out of our settings file. We can then whip up a Razor page to allow changing the company. Use our company changer to get back to "CRONUS Canada, Inc."
And we now see "CRONUS Canada, Inc." contacts. 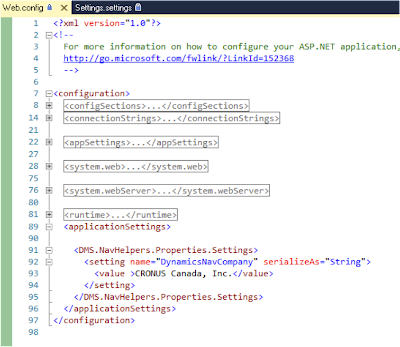 To summarize we’ve established how to use MVC.Net and connect a data entity that you can use with LINQ, to work with Dynamics NAV table naming convention, while providing the option to dynamically change the company name in a configuration file, on the URL, and with a “change” option. It was a little bit of work, however you only need to build the supporting code once, and then you can re-use it in future projects. We’ve also provided the code to support this as a download (see link above). 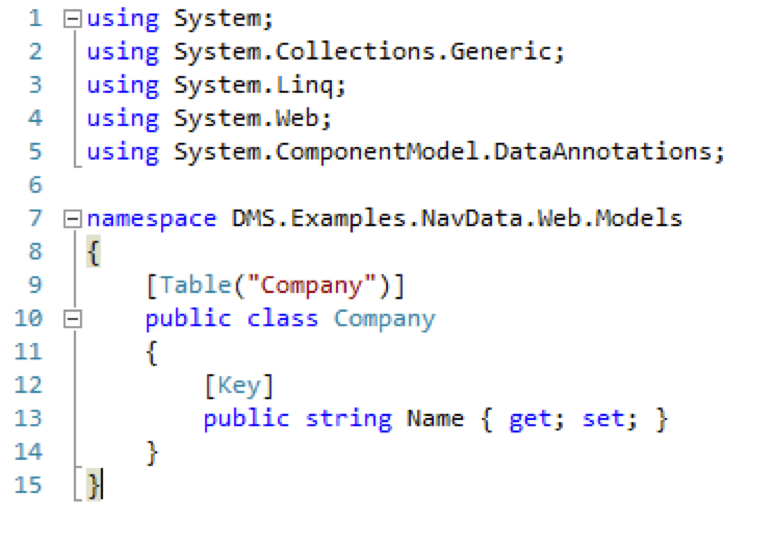 If you have a more complicated model you will probably want to cache the DBCompiledModel that is generated instead of re-building it with each DBContext. Everything's great, but what about the Open C/AL triggers? If I understand correctly, you're accessing the data directly in the SQL Server, but in Dynamics NAV there's a whole bunch of C/SIDE triggers that get fired when you're accessing/modifying/deleting the NAV objects. If you omit those triggers, your data will not be consistent anymore. IMO, the best way to operate on NAV database from the outside is by using the pages (just need to publish them as a webservice).